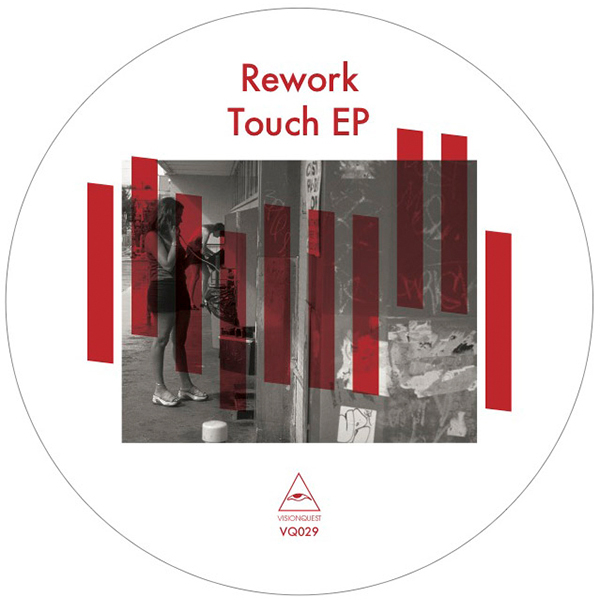 Continuing along their musical path to bring us the most illustrious and innovative electronic music, Visionquest welcome talented production trio Rework onto the label with ‘Touch’. Four wonderfully distinct and driving cuts combining icy minimal structures with catchy female vocals, Anglo-French funk antics and a dash of dancefloor melancholy. Daniel Varga and Michael Kuebler formed Rework in the year 2000 releasing their first EP ‘Anyway I Know You’ on Playhouse Records. In 2005, Sascha Hedgehog, front girl of the French beat-punk band Les Quitriche joined the group. They earned their dance music stripes with a series of strong releases, most notably on Frankfurt-based techno institution Playhouse and more recently on Items & Things and Meant Records. Aside from producing their own music, Rework have done remixes for the likes of Alter Ego, Chloe, Magda, Losoul and Trentemoller. This year they are also launching their own record label Loveyeah.